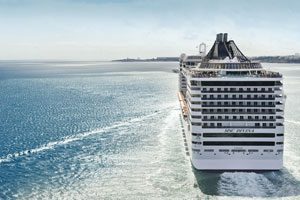 The MSC Divina began year-round cruise service from Miami in 2013. MSC is an Italy-based company and the Mediteranian influence shows in many of its offerings. Two of the ship’s restaurants were created in cooperation with NYC’s Eataly and include an upscale Italian restaurant and a Eataly steakhouse. Ship amenities include an infinity pool overlooking the ship’s wake, a water park with slides, poolside gelato bar, and a spa with ocean views. There are two main dining rooms plus several specialty restaurants. There’s no shortage of entertainment available on Divina. 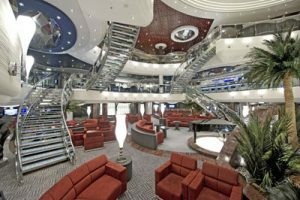 This ship offers six different shows on seven night cruises. The Divina’s Yacht Club is like a ship within a ship, with upscale amenities and services such as private pools and lounges for guests booked in Yacht Club suites. 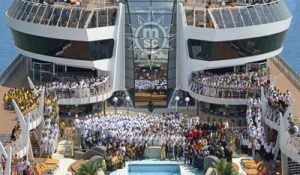 Kids age 11 and younger cruise free on MSC cruises when accompanied by to full fare paying guests in the same stateroom. Book Cruises Out of Miami Today at CruiseDirect.com!